You want a kiosk that is build to ADA guidelines and UL specs. And you should choose a form and design that fits your environment, brand and size requirements. In addition, the enclosure and structure should be inviting. There is no reason in today’s market that you should sacrifice esthetics or durability. Every option imaginable is available! Think about your experience when you check in at the airport. Your kiosk operation should be that simple! 2-3 buttons, a clear touchscreen, and simple graphic elements. Who will develop the content and application? You may be able to do that in-house, but there are several companies that do nothing but help companies develop applications, tie in with existing systems/databases and help remotely manage the kiosk. 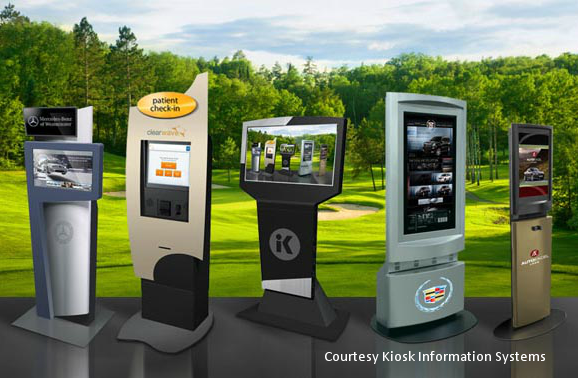 Without remote monitoring/reporting – how will you know what people are doing on the kiosk? Will you know if one of your 2500 screens is down? What about the screen saver- can it be updated to play store specials as they become available? Think about the warranty, and who actually owns the hardware. If a service call is needed, do you need to outsource on-site maintenance where an outside tech will service the kiosk? You may want to keep spare parts on hand for common replacements. What is the intended purpose of your kiosks? Decide on 2 or 3 priorities at least initially – you can always add on later. What does a good pilot program look like? Number of stores? What types of stores? What’s the budget for the pilot? The MOST important part of the pilot is determining you success criteria. What is the budget and who will own the kiosks? It may make sense to lease the hardware. 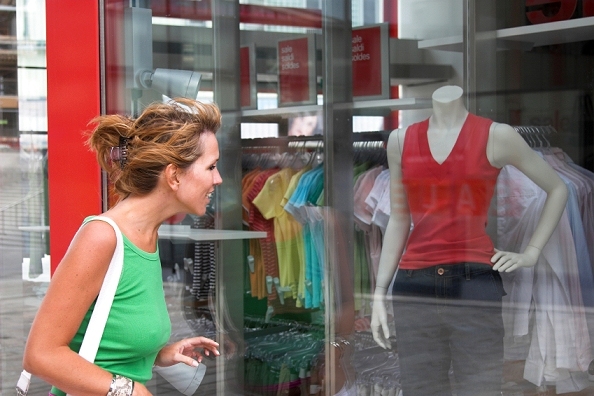 Employees can sometimes feel intimidated or threatened by the kiosk. We’ve seen examples where a kiosk is placed in an existing environment without much employee involvement and the program will fail. So, in summary, a kiosk is a great tool and resource, useful for in-store surveys, product descriptions and applications, and guidance for customers. The most important moments in the life of the kiosk campaign are those before it is installed. When you think kiosk, think ASK – the questions above will help guide you to the right answers for you. How About Color, Contrast and Brightness? If you’ve been following our posts, you will know that CLEVR is a great acronym to remember when designing digital signage. CLEVR stands for Conspicuity, Legibility, Visibility and Readability – sound principles for those who design content for electronic digital signage. As we learned, these factors are weighted differently according to the application, whether it is a textbook, or a digital print sign, or dynamic signage. Plasma televisions were the first to really change the landscape of modern televisions. Providing large screens at depths fewer than 5 inches, they are easily hung on walls. Liquid Crystal Display (LCD) televisions operate by placing a bulb in the TV that generates light. The light is then passed through millions of red, green or blue liquid crystals where an electric current is applied to turn the colors on and off providing the correct color on the screen. When comparing Plasma TVs vs LCD TVs we first see two advantages that Plasma TVs have over LCD. The biggest advantage is the size of the television. Plasma televisions can be well over 50 inches, currently as large as 103 inches. LCD TVs are normally less than 50 inches. Additionally, Plasma should provide a slightly better viewing angle of about 90 degrees compared to the an LCD of about 60 degrees. If you have a wide room that requires viewing the television from areas that are not centered in front of the TV, either of these options will work. LCD televisions have one advantage over Plasma displays — they are bright, making them an excellent choice for areas where you cannot limit the lighting. The more expensive LCD televisions now have very good response times that are comparable to the other technologies. However the lower end LCD televisions do not. Look for response times below 12 milliseconds with the better TVs around 6-8 milliseconds. Anything higher then 12 milliseconds, you may want to think twice if you are going to watch action video. Plasmas can be susceptible to the “Burn In” effect. The Burn in effect is what happens when an outline of an image remains on the screen even after the image is gone. This can happen when you have the same shape on a screen for long periods of time. Screens that display the same thing often like stock tickers can cause this. In most cases this will not impact users. And some of the new Plasma televisions have what is called white wash to clear the Burn In, but using this can decrease the life of the Plasma. Today, plasma screens can offer extremely long life – in commercial units – and non-glare surfaces. LobbyPOP professionals offer these advanced features in the units they sell. So, now why haven’t we yet discussed brightness and color, and contrast (difference between the darkest dark and lightest white), clarity (clean lines, not jagged, around images), etc. Reason for this omission is that the difference in these areas depends on the price and manufacturer of the television, more than on the display technology. Both plasma and LCD perform well in these areas, though you will find the high-end qualities at a better price in the plasma product line – especially when it comes to contrast ratios. Bottom line is that both technologies make for excellent televisions. 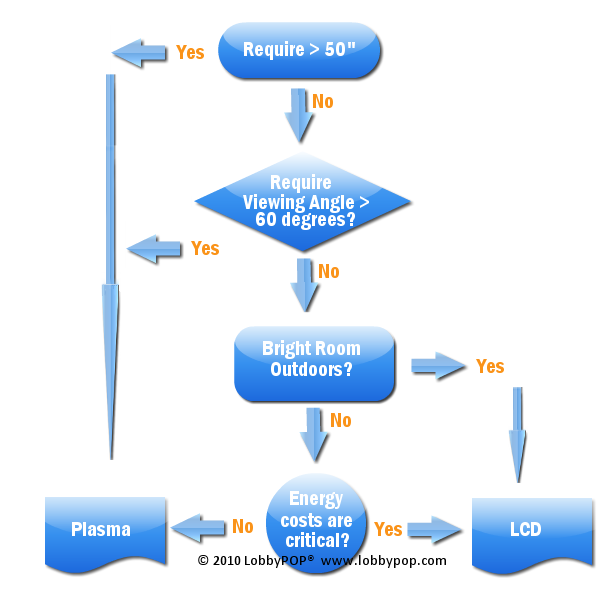 There are some differences, which may lead you to one or the other for client digital signage locations, and the Plasma verses LCD decision diagram below should help with those differences. If you are following this series, you know we are talking about the science behind good sign design, and how this applies to digital sign content as well. In our first post, we reviewed content considerations as a whole. This brought us to Part 1, CLEVR acronym for Conspicuity, Legibility, Visibility and Readability. We reviewed Conspicuity and what it means in the application called Dynamic Signage. Part 2 discussed Legibility, and how this relates to dynamic content for digital sign systems. If you haven’t read up on the premise, do so with the links above. Today we are examining Visibility, one of the key elements guiding good sign placement and design. This is perhaps one of the most overlooked factors in digital sign system development. As we create stunning graphics, clever messaging, and build meaningful news and live feeds into our dynamic signage, then make sure our sign is conspicuously placed in its new location, we are not looking at visibility the way that traditional sign professionals do. Visibility is characterized much as you would expect: It is the aspect of “being visible” period. When a sign first becomes visible, you may not yet be able to read or hear the content. You can see the screen flickering in that bright blue fashion indicating an exciting message. With on-premise signage, you can see the illuminated beacon of the Golden Arches in time to cut across three lanes and safely grab a burger. Back a block or two, you couldn’t read the daily specials – all that mattered at that distance was that the sign was visible. Too often, digital sign screens are placed where you can’t see them until you enter the immediate zone in which they are displayed. This may be appropriate where a touchscreen is used, for instance, to determine the right mattress to purchase, as you stand in the bedding department of the box store. But when signs are to be used for creating awareness of products, guiding shoppers through your facility, or for advising of coming events, these displays are often a few feet lower than they should be. This is likely a phenomenon that comes from the deep hold that our living room television has on society. It is hard to separate digital signage from television, at least in our minds. We are conditioned to expect the screen to be at eye level. What eye-level means for a digital display is that the dress racks, or the cubicle walls, or simply masses of people are blocking visibility of the screens. By installing the screens overhead, instead of at eye level, we achieve maximum reach, better engagement, and more attention. This is the Visibility Factor that LobbyPOP classes address. For a good example, think of airport signs that show your gate, and your luggage carousels. These are overhead, visible from far down the corridor. Want to do a better job with dynamic digital signage? Consider installing more of these screens six feet or higher. Might mean a larger screen is in order, but is that really such a bad thing? Next and final post in this series: Readability! CLEVR!